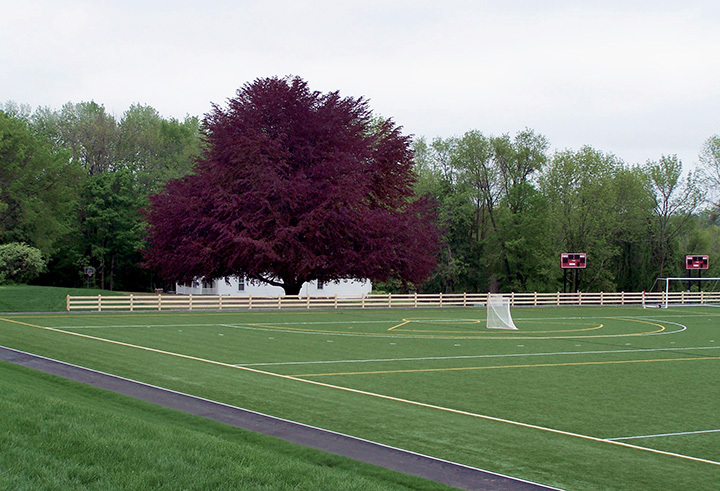 We are proud to have been part of the Pomfret School's award winning sports field design team! 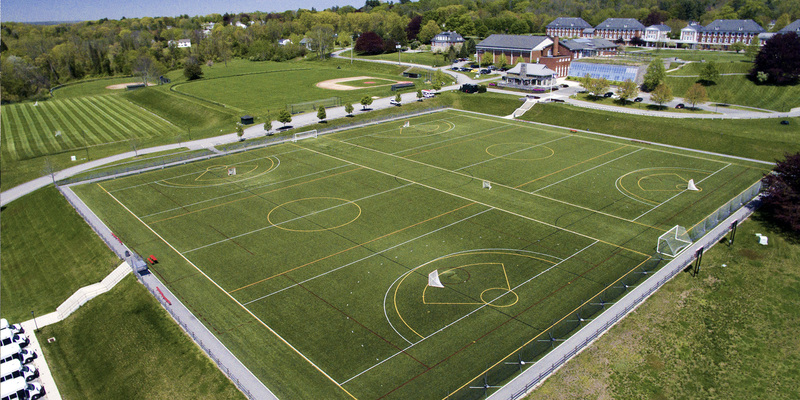 Huntress Sports provided design, engineering and construction administration services to the Pomfret School in Pomfret, Connecticut for the installation of two new synthetic turf fields for field hockey, lacrosse and soccer. The layout accommodates two new fields on one turf surface, allowing for increased school use, tournament play and camp use throughout the summer months. To make room for this new facility, the plans called for moving a historic house, and relocating a roadway and major utility lines. The finished fields helped to weave sections of this historic New England campus back together, creating a setting that is truly one of a kind. The $2.5m project was completed on time and received the 2012 Distinguished Facility Award for Design and Construction from the American Sports Builders Association.